Nothing like walking uphill at 9000 feet above sea level to make you feel terribly out of shape. Eric and I are staying in Old Town Quito, exploring the city the best way I know how – walking. Or in this case, huffing and puffing up and down steep city streets in a town just south of the equator. Quito has been beautiful thus far with sweeping vista, historic churches and bumping squares. Old Town is the historic district which was one of the first places deemed by UNESCO to be a world heritage site. One of the highlights of the Old City was the Church of La Compania de Jesus, a baroque church finished in 1765 covered in gold leaf and intricate carvings. Enough tour guiding for a moment and let me answer the questions you are really thinking about. What have you been eating and drinking? Food has been a bit of trial and error. We started out first day in town by ordering a set lunch at a local restaurant. $2.50 for a soup, main and a juice. Eric and I ended up receiving a bowl of chicken, potato and rice soup; a plate to potatoes, rice and boiled pork skin; and a glass of juice made with tap water. Between the two of us we managed to order everything we wanted to avoid (pig products and gastrointestinal-distress causing tap water)! At least I’ll never go hungry in this carb-heavy capital. Don’t worry, we came back to try the other types. As for beer, strangely Quito ins’t lacking in craft breweries. According to my research there are over ten breweries or Cervecerias Artesanal in town. One of which was located directly across from my hostel! Eric and I could only try two of Bandido Brewing‘s beers on tap, as any more at this altitude would have left my head pounding for days. Bandido is an adorable brewery located in Old Town which serves pizza – I was too full on pork skin to try – and a selection of four different taps. While Eric and I weren’t blown away by either of our pints, it didn’t matter. 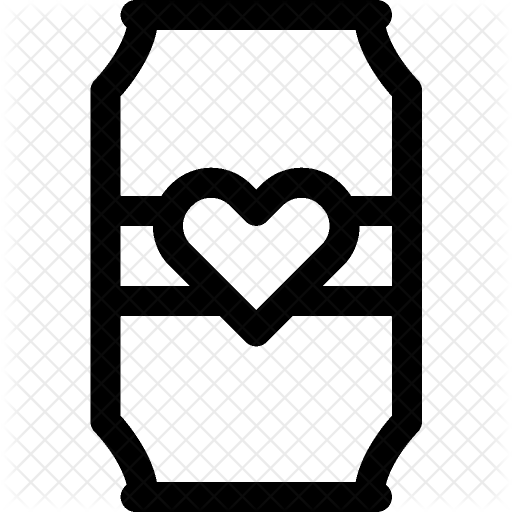 We have a whole lot of adventure in front of us, we can “rough” it beerwise for a little while. I was super excited to try this “traditional American” IPA. 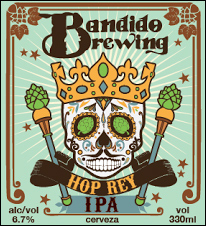 I know that the founders of Bandido Brewing are from Oregon and I was wondering if they could pull off a West Coast hop bomb style IPA. Much to my surprise, this beer tasted hoppy! It was a bit on the sweeter side of an IPA with mineral flavors. Nevertheless, this is the best IPA I’d had outside the United States and Canada. Well done! Final Score: Four out of Five, is it too early to feel homesick for hoppy beers? 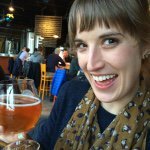 I was excited to try this beer but it was much too sweet for my taste. It came across more like a sweet ginger beer than a saison. Final score: Two out of five expats at the bar. 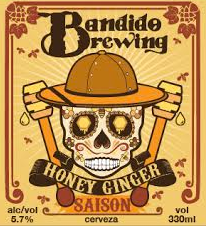 Bandido Brewing founded by Oregonians? Sounds about right. Happy to hear you like the IPA. I like their artwork.